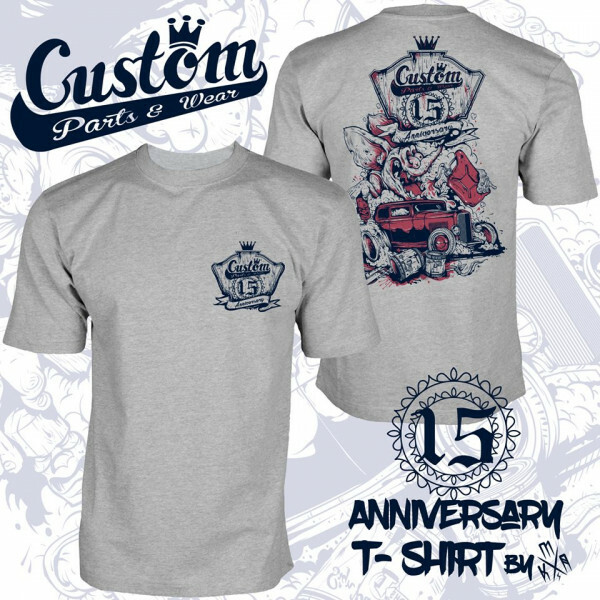 Produktinformationen "Custom Parts&Wear 15 Anniversary T-Shirt"
Custom Parts&Wear 15 Anniversary T-Shirt. T-Shirt designed by Monstrosity Kustom Art (PL) . Weiterführende Links zu "Custom Parts&Wear 15 Anniversary T-Shirt"
Kundenbewertungen für "Custom Parts&Wear 15 Anniversary T-Shirt"